A great day with a wonderful group of guys! Thank you to everyone who came out to support the St. Pat’s Ramble! 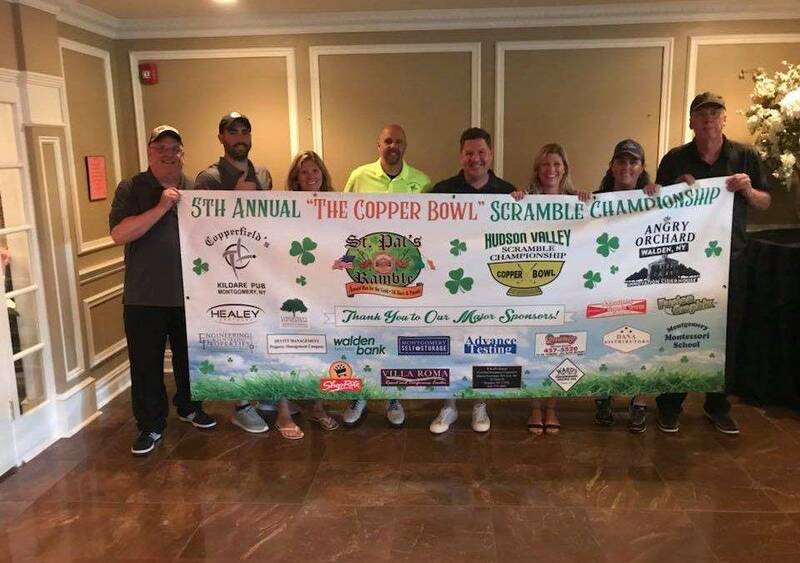 The Hudson Valley Scramble Championship “Copper Bowl” was a hit! The weather held up for us and it turned out to be a beautiful day! Thank you Erin and Colleen for all your help with pictures and raffles yesterday, Shannon, Ryan and Heather from Falkirk for all your help with drinks and scores and of course Paul and Brian, none of this could happen without you both! Congratulations to Noah Conklin and his teammates for grabbing the championship and winning the tournament and The “Copper Bowl” & to my brother Joe and his team for winning The Brian Fitzpatrick Community Cup! You guys did awesome!